The perfect combination of farmhouse style, country living atmosphere & modern updates - this home truly has it all! 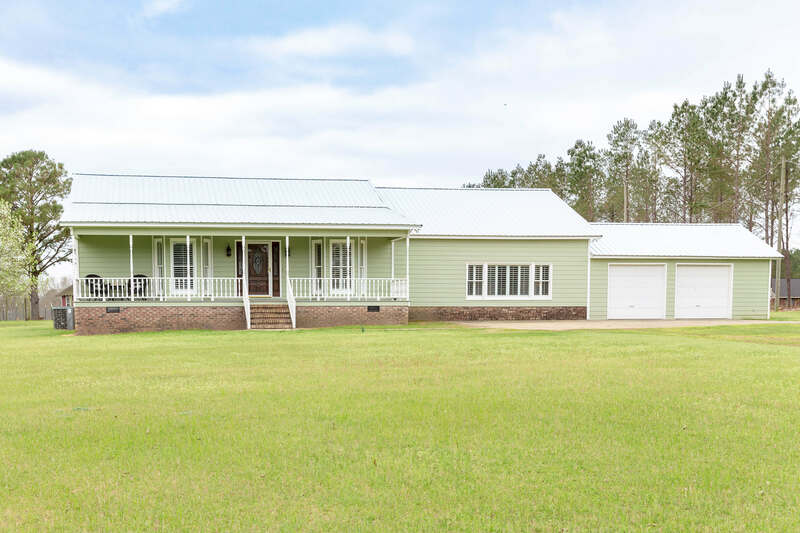 Set on 5 acres for plenty of privacy & fantastic outdoor living space! Unwind on the back deck overlooking the massive yard (w/ chicken coop & multiple outbuildings!) This versatile floor plan features a bonus den as an unexpected surprise - perfect for kids, guest space or more! While this location feels far from busy city life - you are just 15 mins to Uptown Columbus! Warm hardwood floors & fresh neutral interior paint makes this home feel cozy right as you step inside! Spacious living rm w/ backyard views - kitchen w/ granite counters, lots of cabinet storage & bkfst nook! Split plan for privacy - the master has its own ensuite w/ dbl vanity. 2 additional bedrooms are large & full bath features tiled shower! Wonderfully maintained - this is a rare find!